Most of us have a 'Mexican' restaurant of choice in our local communities. However, to most folks, 'Mexican' food is synonymous with burritos, hard tacos, and variations thereof smothered in cheese and sour cream. Puerto Morelians know that 'Mexican' food isn't exclusively what's being served at our local Tex-Mex restaurants. In fact, the cuisine of Mexico is so diverse that UNESCO has recognized some region's cuisine on the Intangible Cultural Heritage list -- a first for regional foods. In the Yucatan, the foods are likely to be a mix of seafoods, along with chicken and pork -- and often sin queso (without cheese). Floridian Restaurateurs recently purchased Los Antojitos in Panama City and visited Puerto Morelos while researching Mexican Seafood Dishes. Their goal was to offer their customers more than cheesy burritos, and it worked! They've been the #1 Mexican restaurant in their area for 5 years. You can read about their experience here. 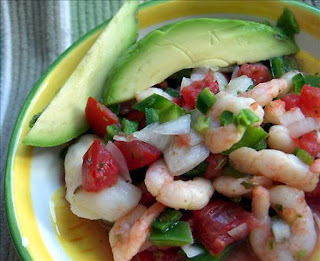 Speaking of food in Puerto Morelos --- What's your favorite dish? Your favorite restaurant?